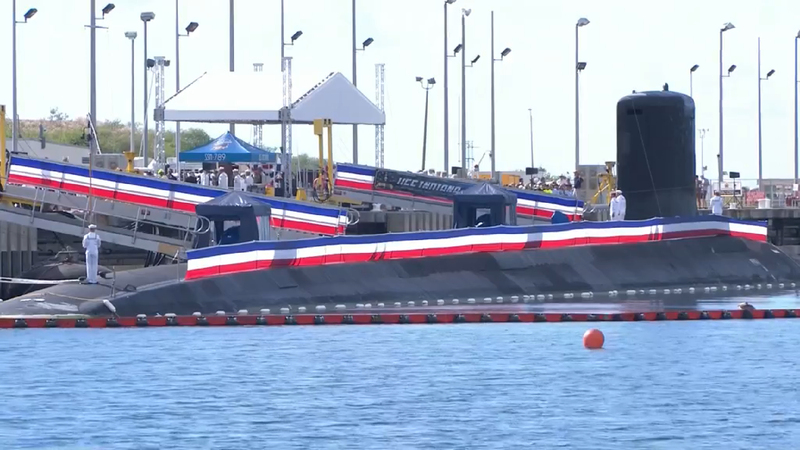 The U.S. Navy commissioned its newest fast attack submarine, the USS Indiana (SSN-789), during an 10 a.m. (EDT) ceremony Saturday, September 29, at the Navy Port at Cape Canaveral Air Force Station in Port Canaveral, Florida. The principal speaker was U.S. Representative Jim Banks from Indiana. Mrs. Diane Donald, wife of retired Admiral Kirkland H. Donald, director of Naval Nuclear Propulsion from 2004 to 2012, is serving as the ship’s sponsor. She gave the order to «man our ship and bring her to life!» in a time-honored Navy tradition. «The future USS Indiana shows the increased capabilities that our industrial partners bring to the fleet as we deliver the Navy the nation needs», said Secretary of the Navy Richard V. Spencer. «This submarine sends a signal to friend and foe alike that we will maintain supremacy under the waves, and extend our lethality and readiness in every domain». The future USS Indiana (SSN-789) is the 16th Virginia-class fast attack submarine and the sixth Virginia-class Block III submarine. 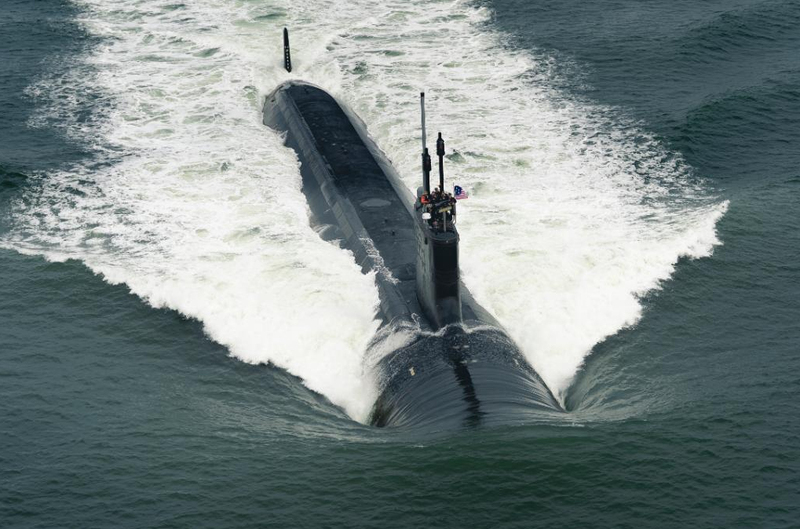 This next-generation attack submarine provides the U.S. Navy with the capabilities required to maintain the nation’s undersea superiority well into the 21st century. 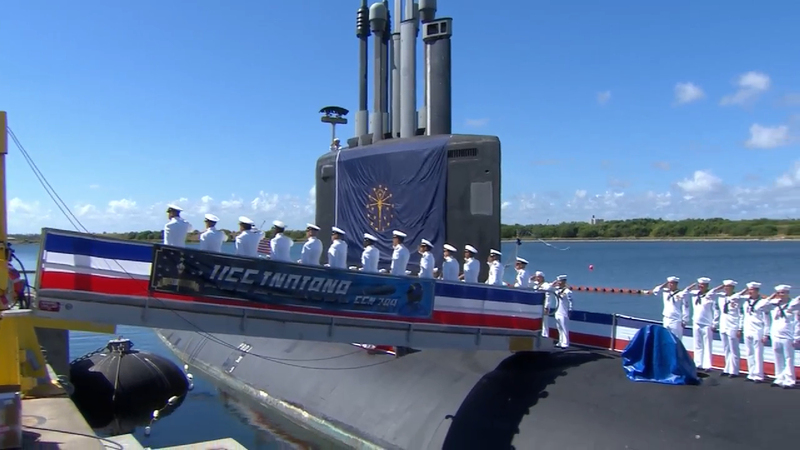 The submarine, which began construction in 2012, will be the third U.S. Navy ship to be christened with the name Indiana. The first Indiana (BB-1), the lead ship of her class of battleship, served in the North Atlantic and later participated in the blockade of Santiago de Cuba during the Spanish-American War. The second Indiana (BB-58) was a South Dakota-class battleship that earned nine battle stars for her service in the Pacific Theater in World War II. The ship fought in the Battle of the Philippine Sea and participated in the invasions of Tarawa, Kwajalein, and Okinawa, and bombarded Saipan, the Palau Islands, the Philippines, and Iwo Jima. Indiana earned nine battle stars for service in World War II. Virginia-class submarines are built to operate in the world’s littoral and deep waters while conducting anti-submarine warfare; anti-surface ship warfare; strike warfare; special operation forces support; intelligence, surveillance, and reconnaissance; irregular warfare; and mine warfare missions. Their inherent stealth, endurance, mobility, and firepower directly enable them to support five of the six maritime strategy core capabilities – sea control, power projection, forward presence, maritime security, and deterrence.